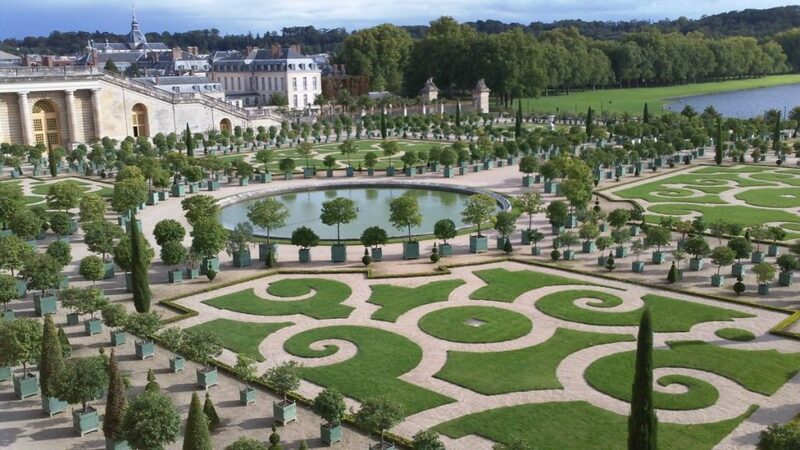 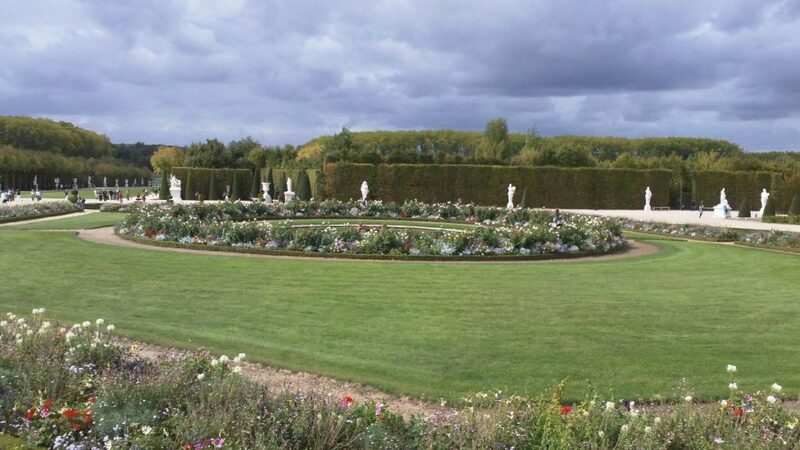 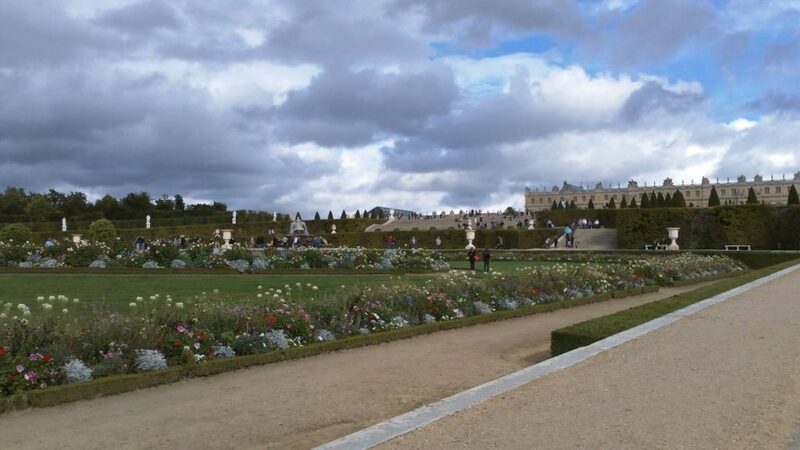 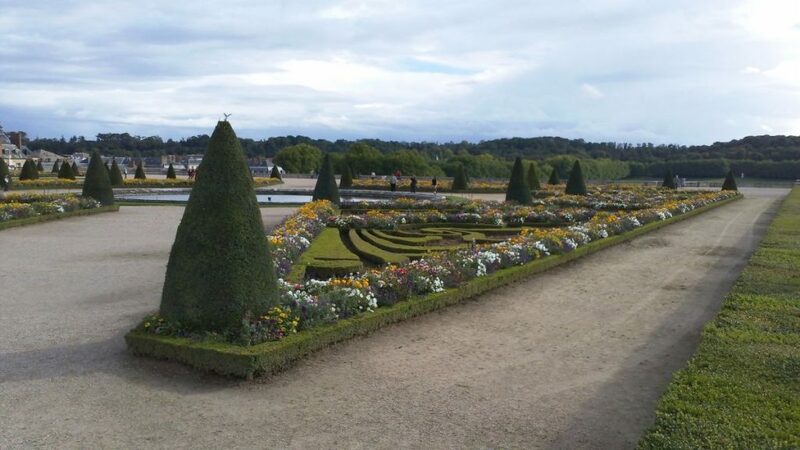 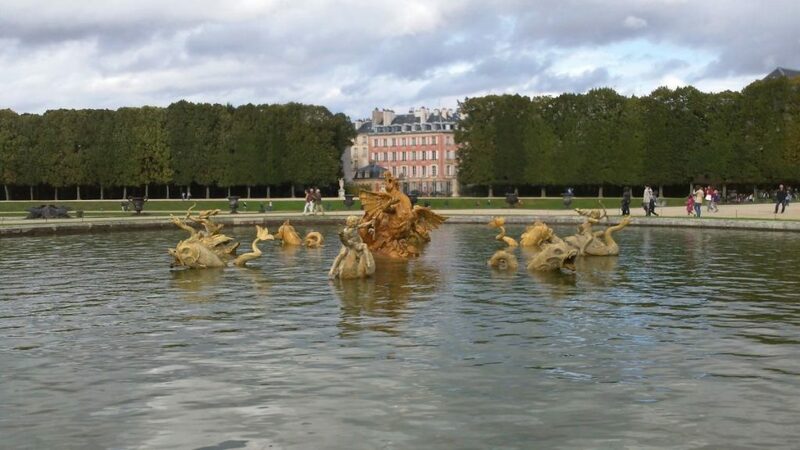 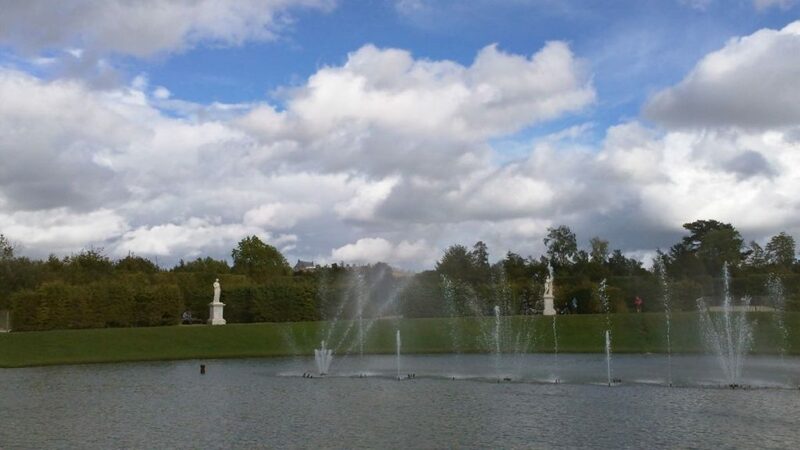 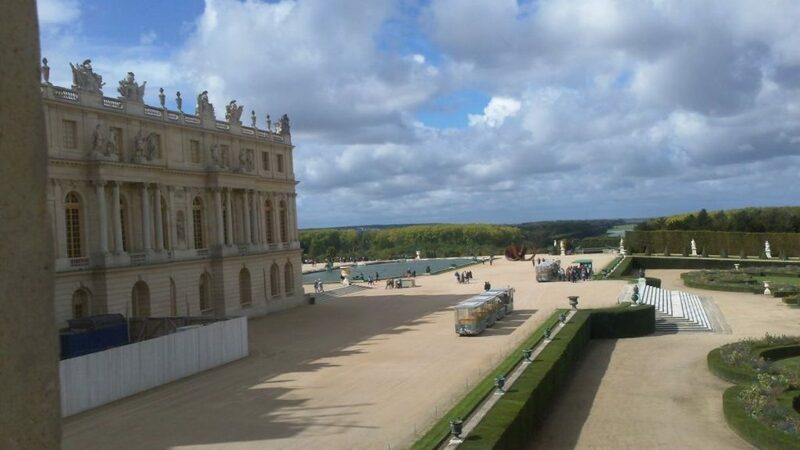 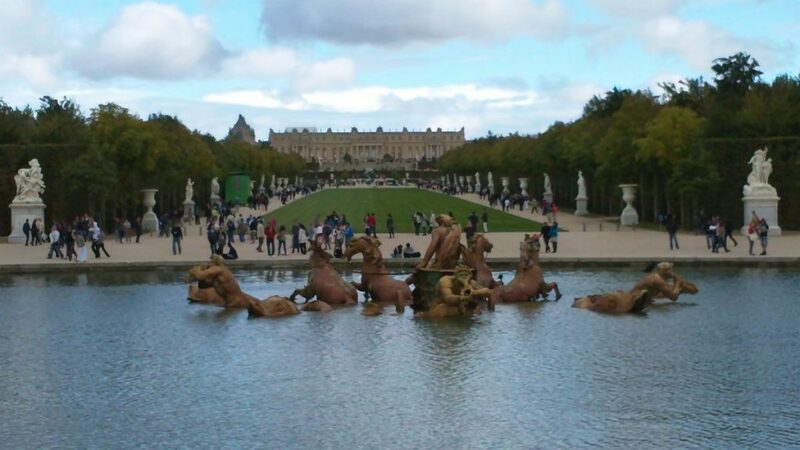 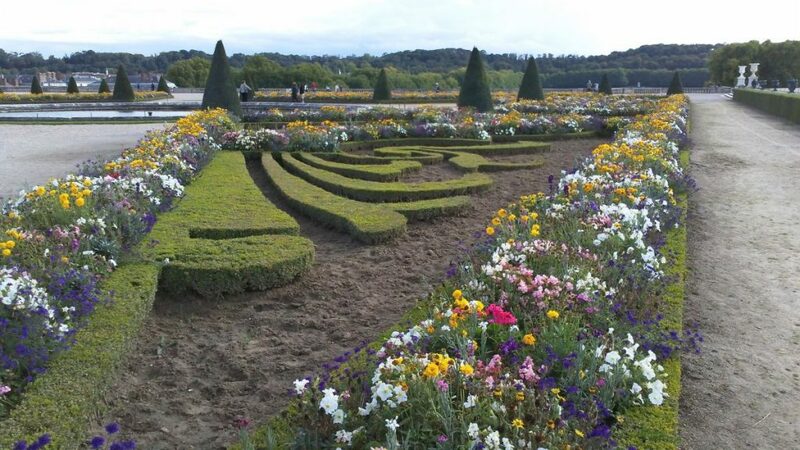 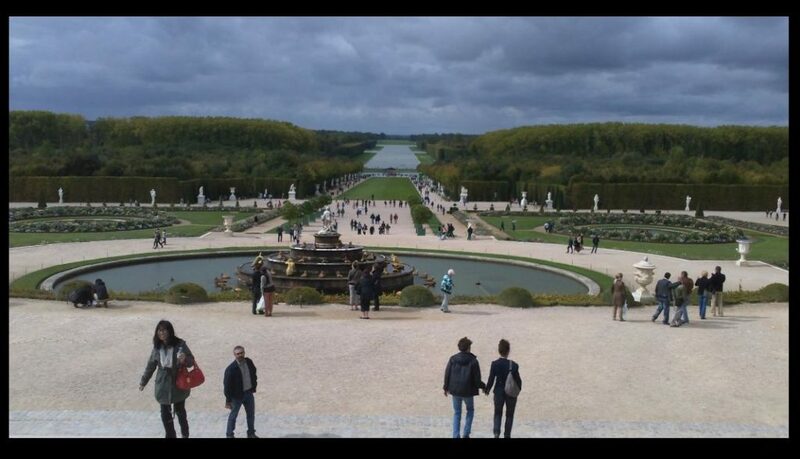 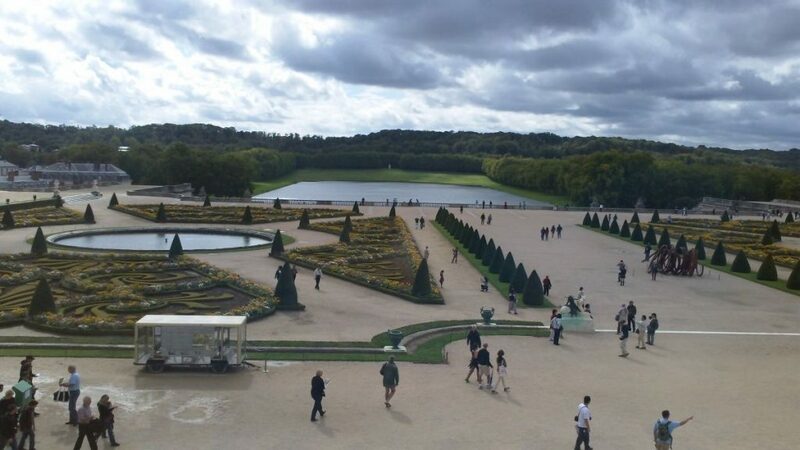 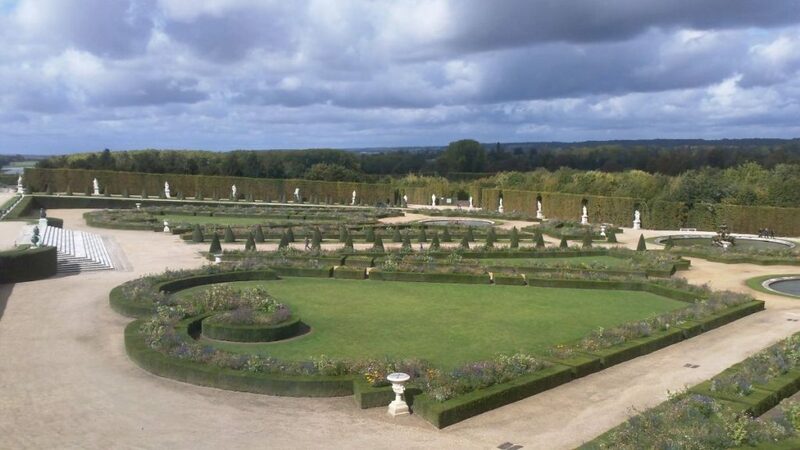 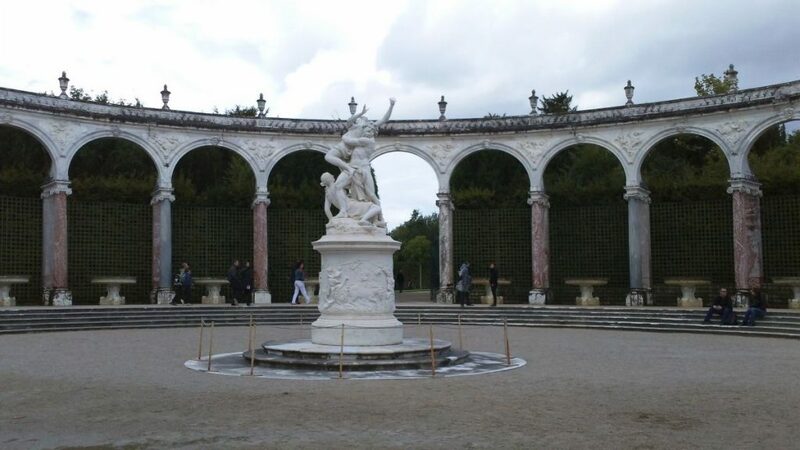 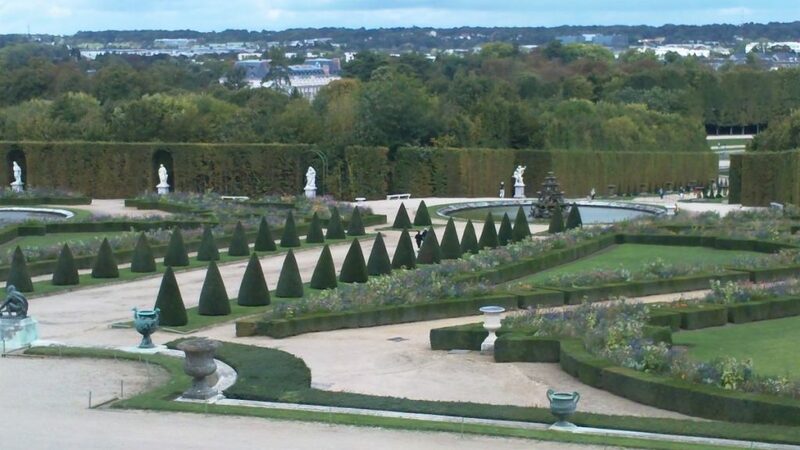 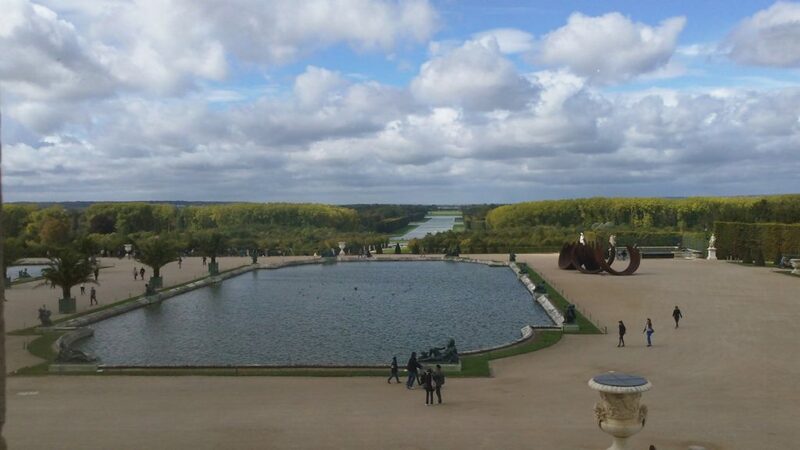 Here are some additional photos of the magnificent gardens at Versailles. 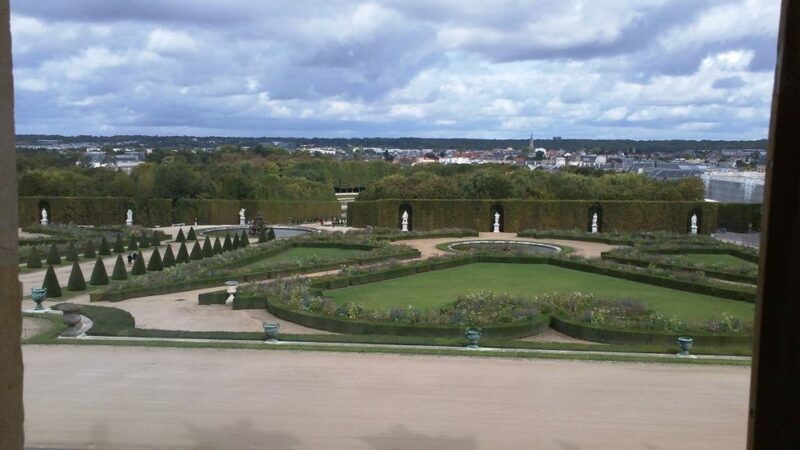 Looking past the west wing of the Château towards the Grand Canal in the distance. 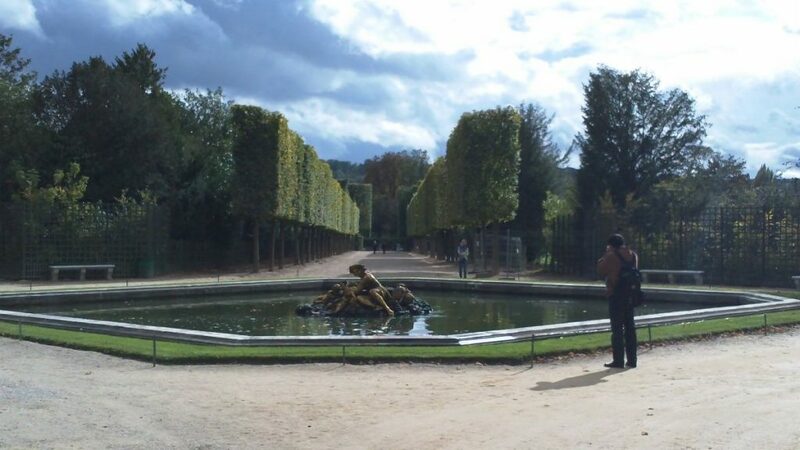 The Pyramid Fountain sits about a third of the way down the path towards the Neptune Garden. 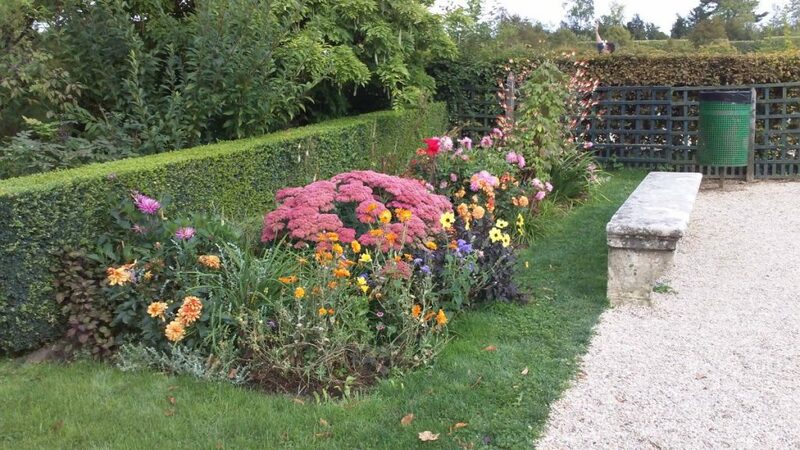 Flower bed near the Latone Fountain. 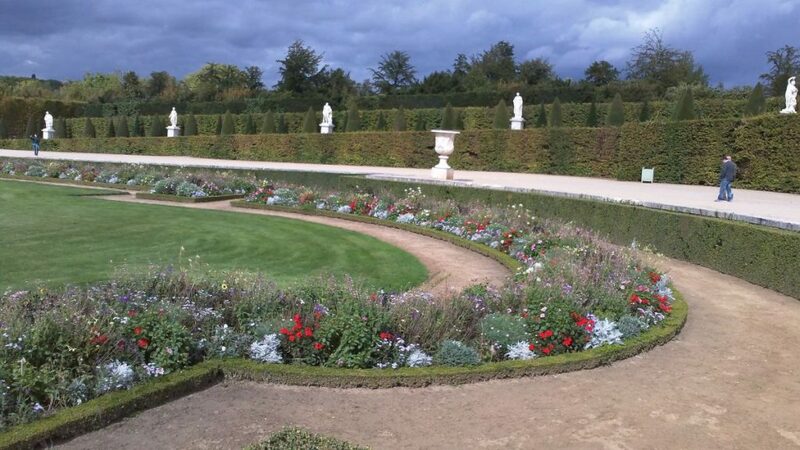 The gardens here have been completely redesigned since our visit. 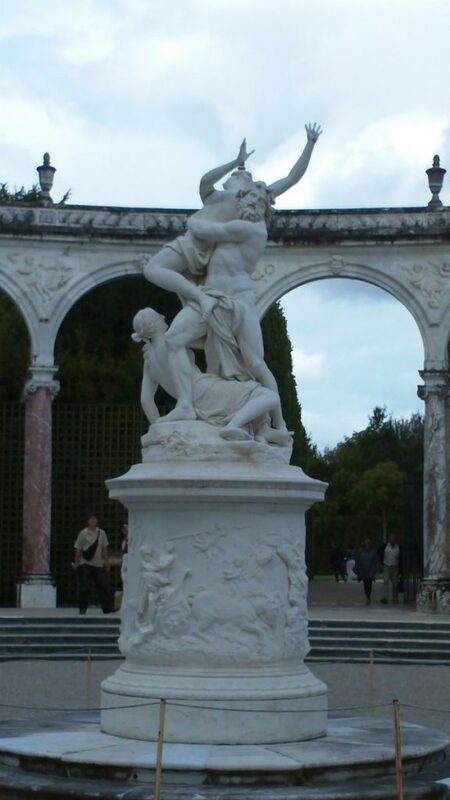 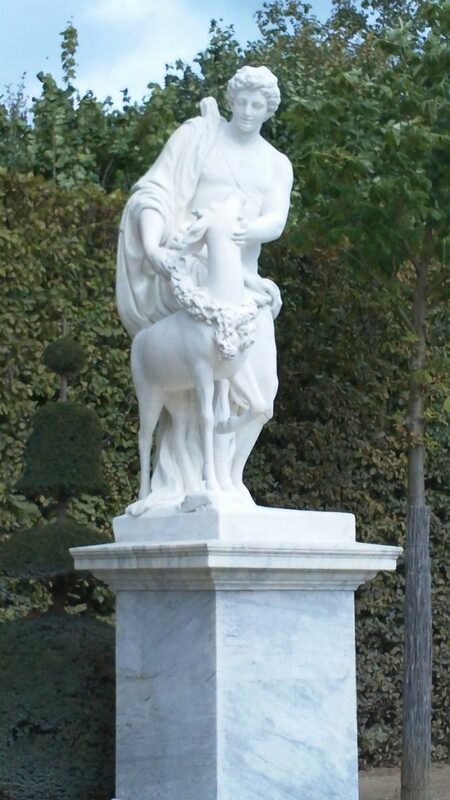 One of the many fine marble statues in the gardens. 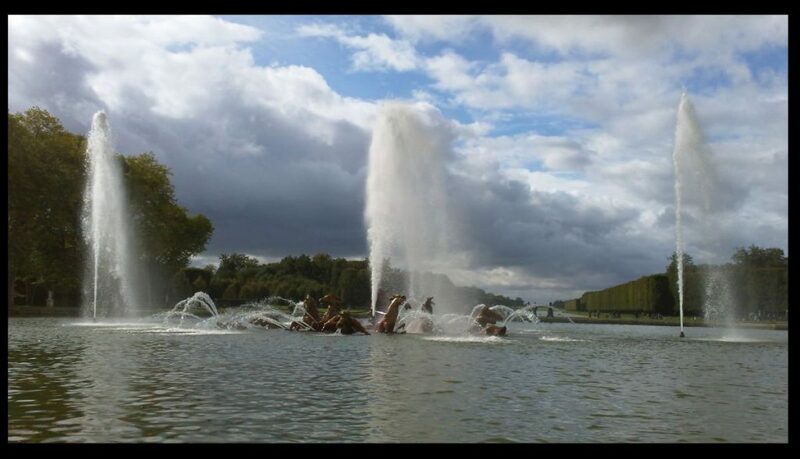 The Apollo Fountain during one of its periodic shows. 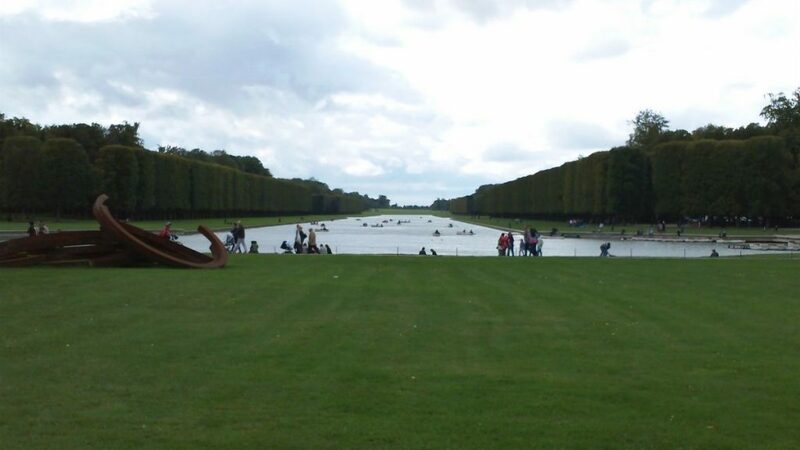 The Grand Canal is a popular spot for leisurely rowboat rides. 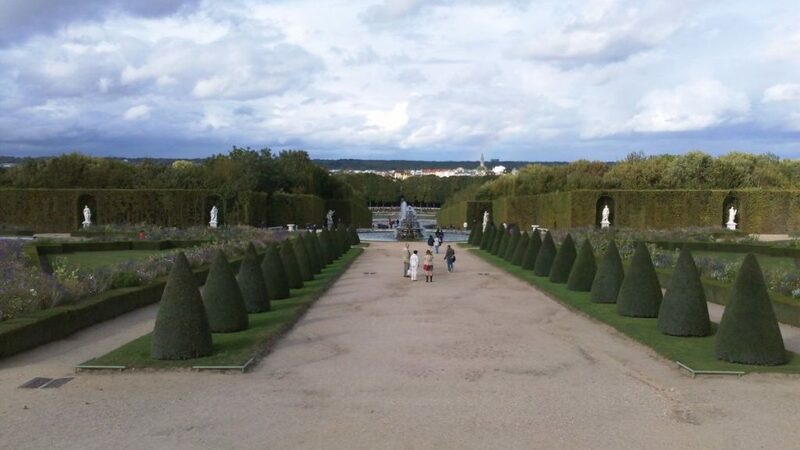 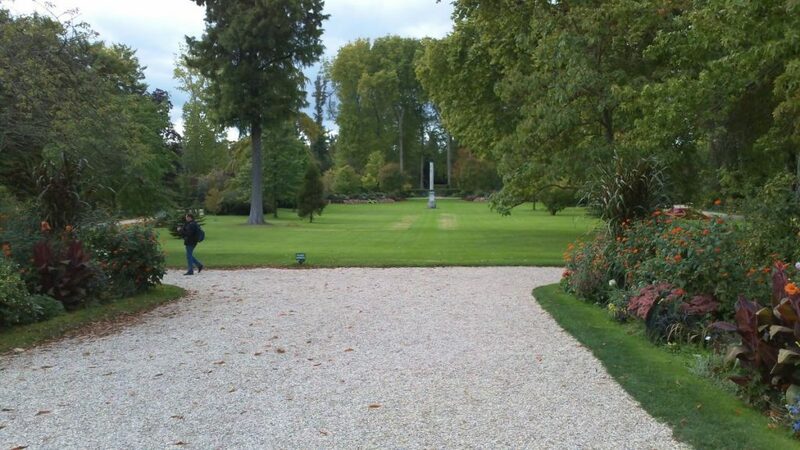 The King’s Garden, one of the groves flanking the Allée Royale. 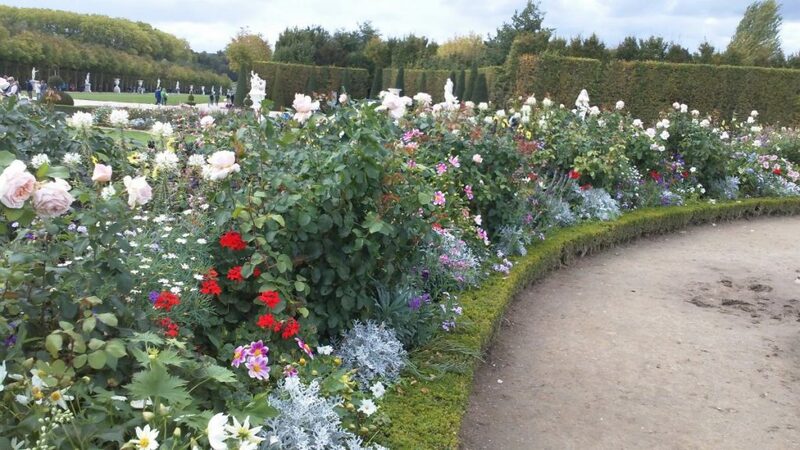 A flower bed in the King’s Garden. 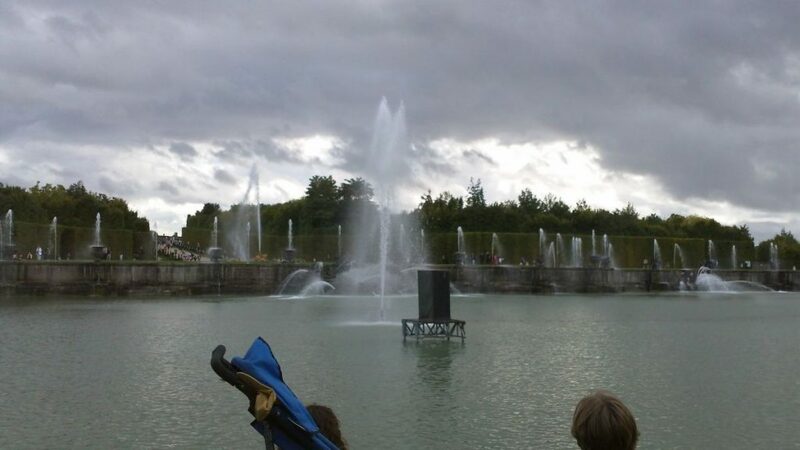 The Mirror Ornamental Lake with its fountains. 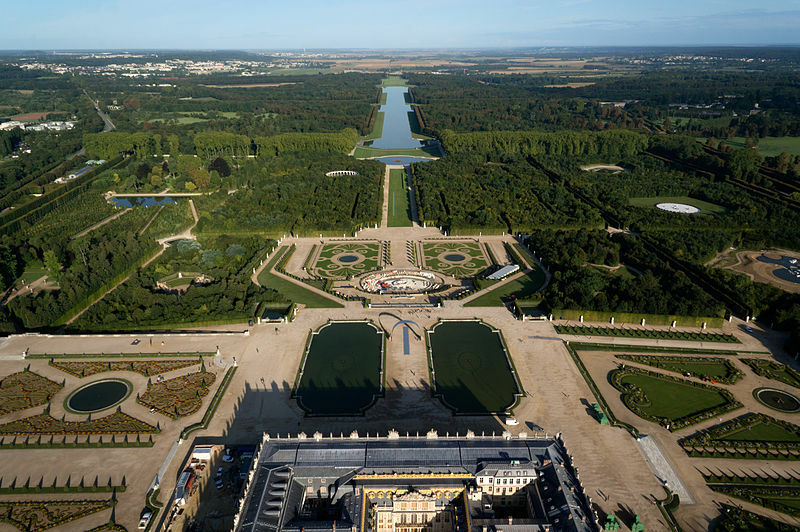 The Château with one of the man-made ponds in the Water Parterre in the foreground. 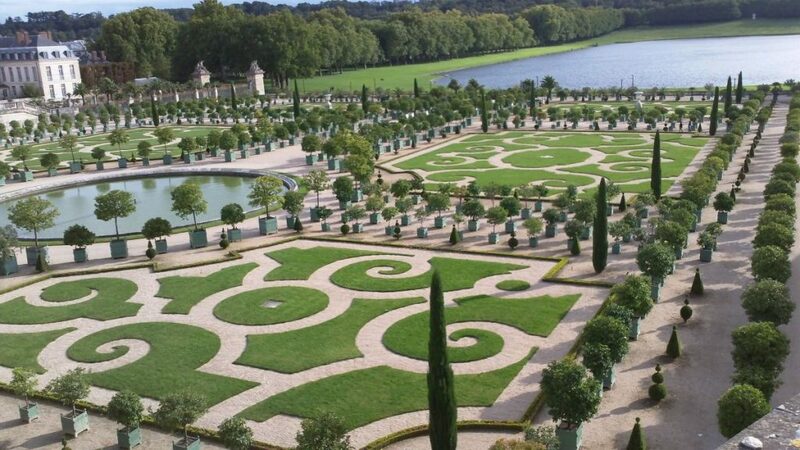 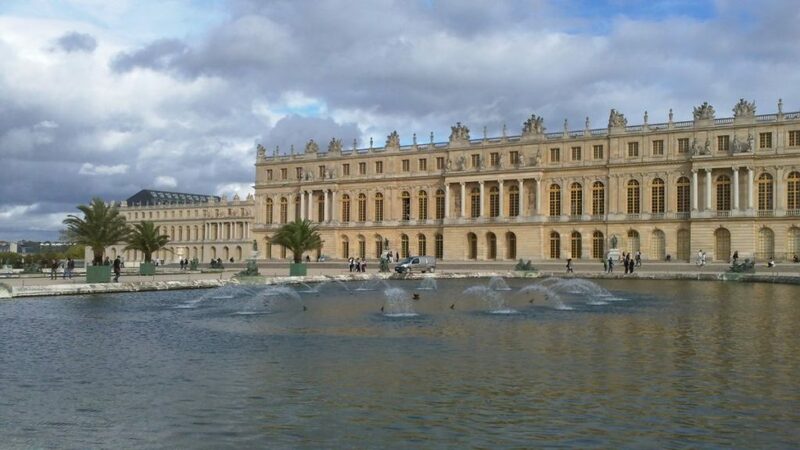 That concludes our visit to the Gardens of Versailles!